Putting aside whatever negativity this review’s headline might spur, this mid-season finale for Supergirl’s second season was very enjoyable. The episode is appropriately titled Medusa, which picks right after last episode’s cliffhanger. 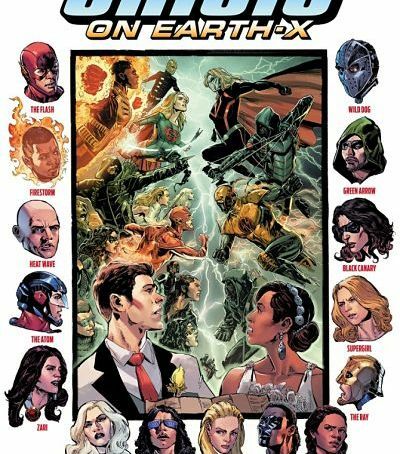 This would be a good moment to mention that there might be some minor spoilers for Supergirl season 2 episode 8; the promoted “first part” of the four-part DC on CW crossover: Heroes vs Aliens. Before I talk about the crossover bits (“bits” is an overstatement), I want to share my thoughts on the episode itself. Supergirl’s transition to The CW worked as a soft-reboot for the second season and it certainly feels like it. The show amazingly sneaks real-world scenarios in the ridiculousness that is alien bars and superheroes. 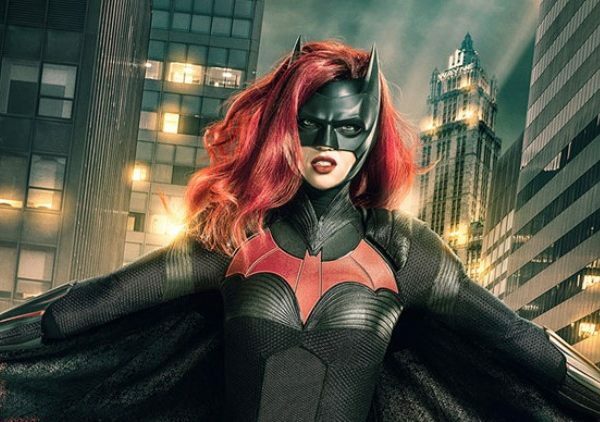 Things like the USA’s present political situation, Alex coming out to her family, and even racism are all slyly approached in this world of capes, super powers, and very cheesy dialogue. This episode wraps-up a lot of lose ends with those scenarios. 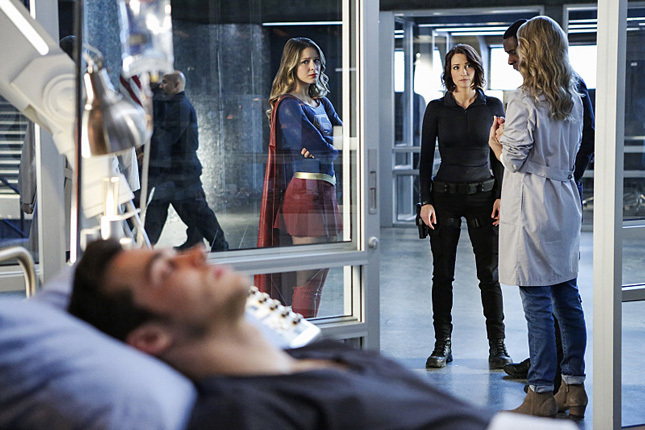 Alex finally talks to her mother about her orientation, Maggie reveals what her feelings are for Alex, Kara finds out Mon-El’s feelings for her, and Lena Luthor’s true motives are finally revealed for the audience to see. What we don’t know is if Lena’s reveal is something that will be recognized by the show’s protagonists, or what Cyborg Superman’s whereabouts are at the end of this episode. The Medusa biological weapon that is introduced in this episode raises some emotional turmoil when Kara finds out who created the virus. I do wish we could’ve seen that side a bit more, but the lack of dramatic reactions is understandable due to the fact that there was a robot that needed punching. Still, while it is explained why Kryptonians aren’t affected by Medusa, it is never spelled out as to why humans aren’t instantly killed when exposed. Also, who are the aliens looking for Mon-El? Like I mentioned, this show executes some of the bigger real-world issues amazingly. 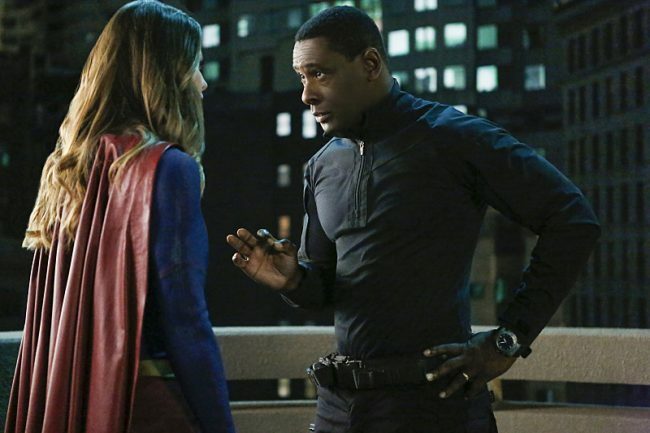 This season, Supergirl approaches identity as one of its major plot points. You can imagine how important it could potentially be for the show to have a green Martian turn into what he’s prejudice of — a white Martian. Nope. The lack of emotional development was one of the biggest issues I had with this mid-season finale. We got a quick resolution and moved on. Of course, that’s not the only issue. Yes, the “To be continued in The Flash” title card at the end brought a huge smile to my face. 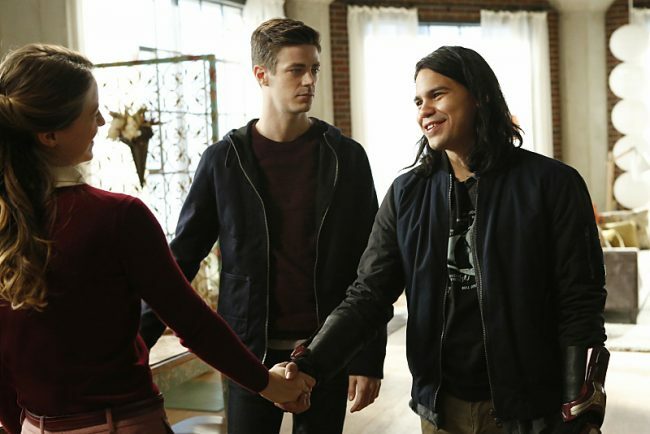 However, the last minute or so of Barry and Cisco porting in was not enough for this episode to warrant a “Part One” in the Four-Part Crossover. During the Cyborg Superman/Supergirl battle, I was expecting Flash to come in and lend a helping hand, but instead we got a fortuitous and very coincidental portal to serve as a distraction. 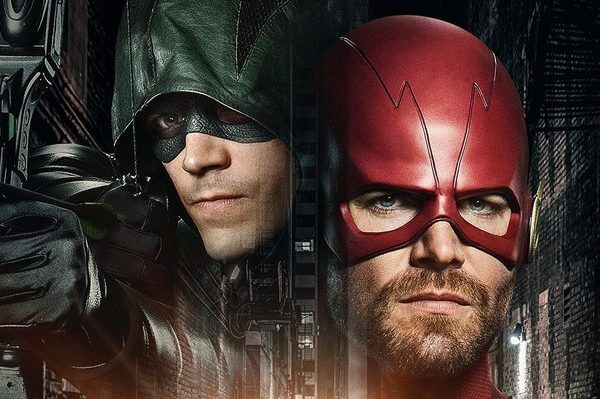 Basically what I’m saying is that this was a great mid-season finale, but a very un-involved part of the DC on CW crossover. At least now we know why Supergirl got the short end of the stick. Can’t wait to actually get started in part two of “Heroes vs Aliens” on The Flash! 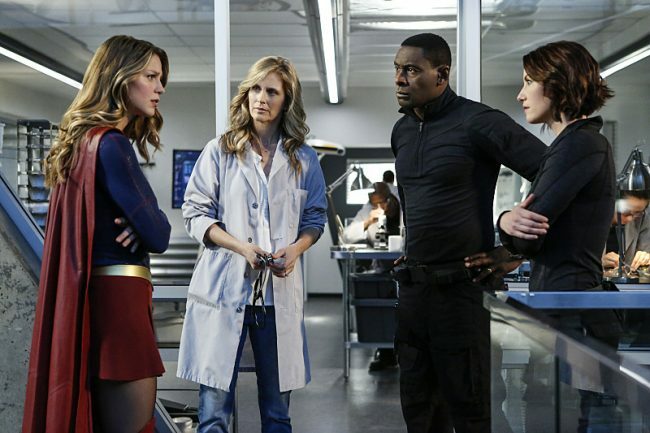 Great mid-season finale for the second season of Supergirl, bad “Part One” of the Four-Part Crossover. If you’re not following this show, just wait for part two.